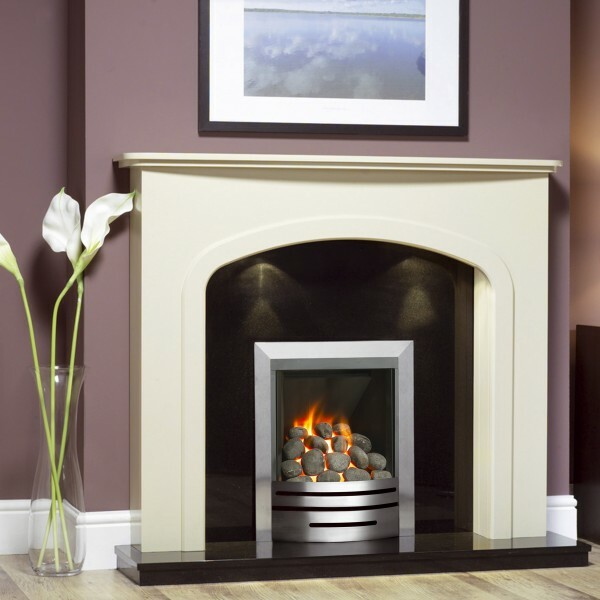 Categories: Fires, Gas Fireplaces, Hole in the wall Fireplaces and Stoves, Insets Fireplaces and Stoves, Matchless Fireplaces, Traditional Fireplaces and Stoves. 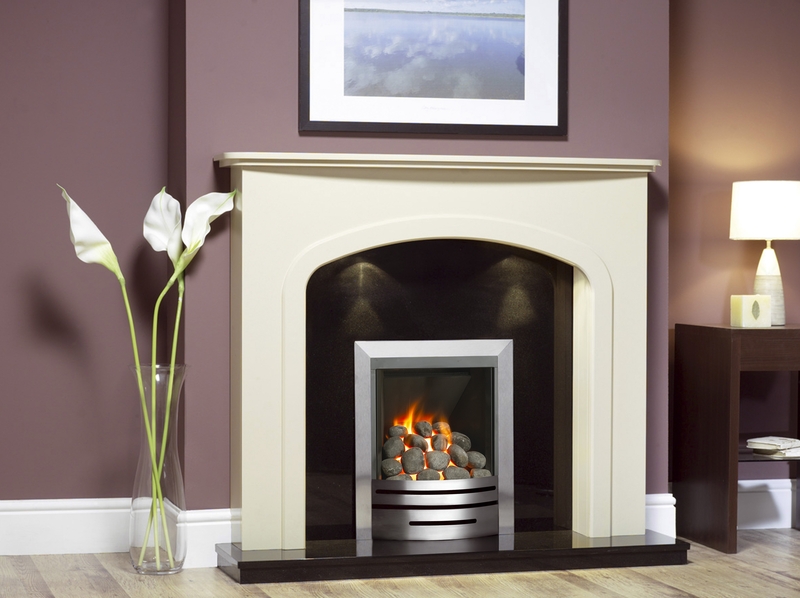 The breathtakingly sleek Excalibur II is an inset (or hole in the wall) gas fireplace built to fit all traditional chimney types. Whether you have a chimney, a pre-cast or a pre-fabricated flue , the Excalibur will suit them all. Usually, these chimney types will already provide enough ventilation, so no further work will be required. 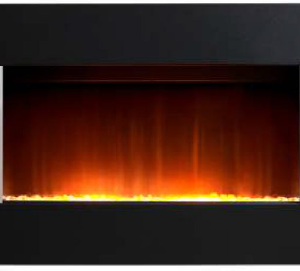 It also comes with a built-in flue restrictor, which will help you get the most out of your new fireplace. Don’t worry! 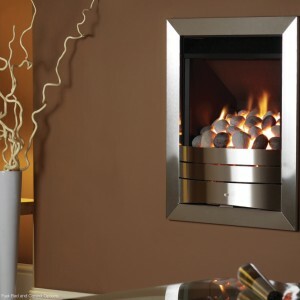 If you like the look of the Excalibur II, but don’t have a chimney, it also comes in a hole-in-the-wall form. When situated on an outside wall, a powered flue can be fitted that will channel all of the fumes to the outside of the house. Class 1, 2, pre-cast flues or no flue.